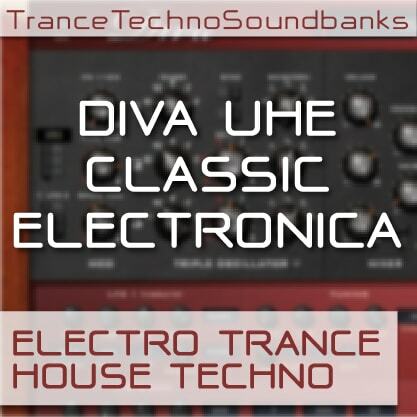 TTS DIVA UHE Classic Electronica is a powerful and versatile soundbank designed to bring you the sound of classic EDM for users of u-he's Diva synth. You'll find 100 high quality presets as well as 13 FLP Files and 13 MIDI construction kits in many popular EDM styles such as: Electro, Deep House, Classic Trance, Classic Techno, and more classical sounds. This soundbank has 13 demo kits (including MIDI files for every synth) and features accompanying FL Studio files. Inside the pack there is text file showing you how to work with this soundbank in every major DAW. The kick drum in the demos is for demonstration purposes.